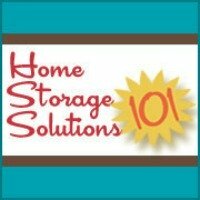 Do you constantly hunt for small parts, and are searching for a small parts storage solution? If so, this may be the product for you. With these small drawers you can sort and organize your small items to your heart's content. It is great for small toys that need to be sorted, such as Legos, and also for lots of different crafting projects. Examples include beads, scrapbooking accessories, floss for needlepoint or cross-stitch projects, and more. It is also great for organizing small hardware parts, like nails, nuts, bolts and screws in your shop or garage. You can either sit this small parts storage cabinet on a counter, or it is made so you can also mount it on the wall if you would like, making it versatile. 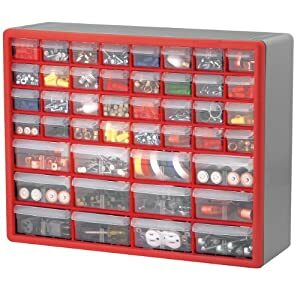 This particular storage cabinet has 44 drawers, but there are other sizes of these small parts storage boxes available with more and less drawers to fit your needs.